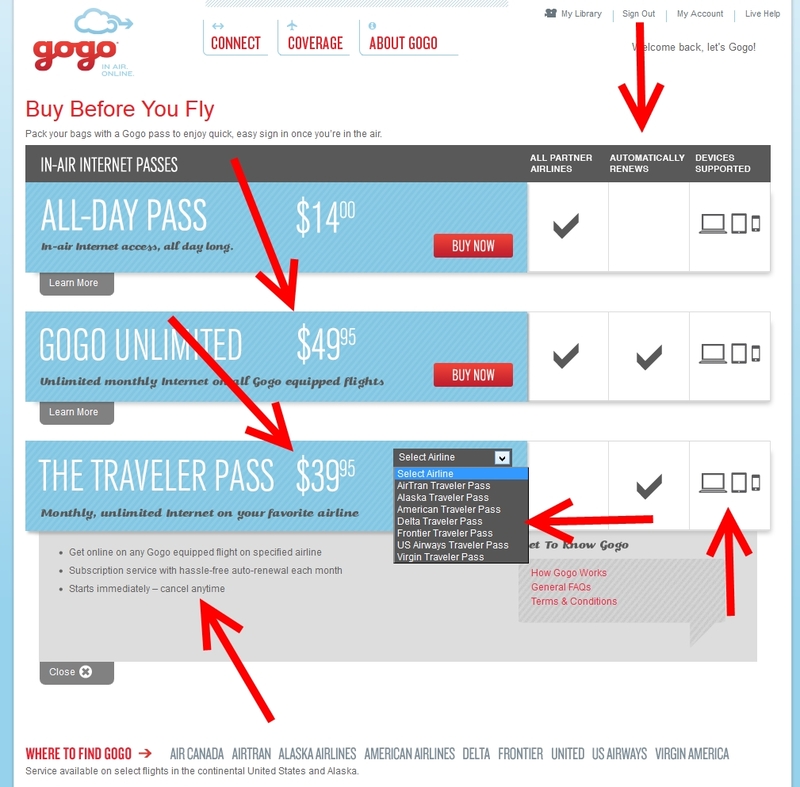 Time for a new reader poll – GoGo or Full-Flat – your pick? 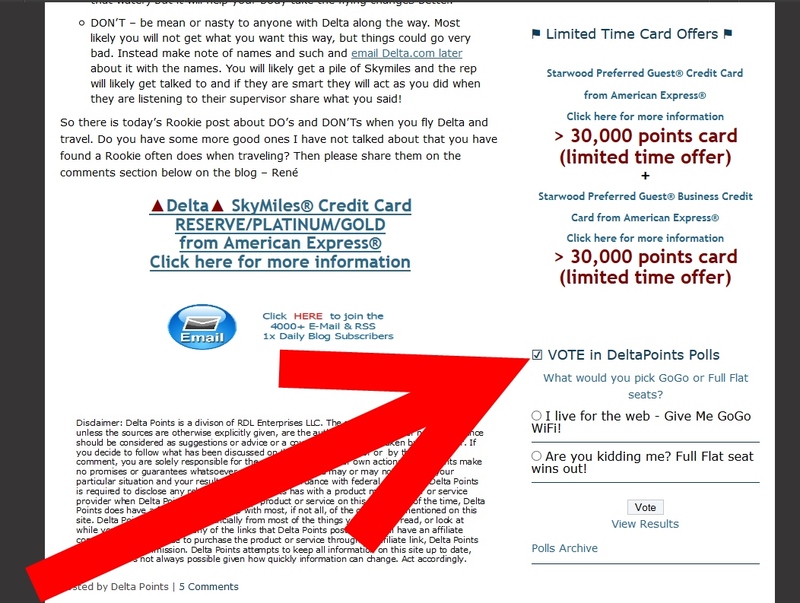 Time for a new reader poll (it is on the right side of the blog a little ways down just below the limited time SPG card offer about to expire btw). I really want some reader input. GoGo prices have been going up up up over the past 12 months but I really like the service. We now know FA’s will use GoGo real time with their new hand held units (as you can see on the “other” Delta blog) for all sorts of “stuff” like selling EC upgrades in flight (hummm)! I use GoGo. I subscribe for the one month pass when I fly (and cancel as soon as I sign up and just use it for the paid 30 days). But what if I have a choice between a Delta jet say an internationally configured one with NO GoGo and full flat seats or another one with GoGo but not as good a seat. What to pick? What would you pick GoGo or Full Flat seats? I live for the web - Give Me GoGo WiFi! Are you kidding me? Full Flat seat wins out! ← Rookie Wednesday: The things you should have done – but didn’t! Lay flat seats. As long as I have enough reading material on the kindle or nook. No comparison for me – a good seat! Full flat bed, hands down, all day every day, and twice on Sundays. It’s actually a blessing when I can’t get connected on a plane. I’ve got plenty to keep me entertained, and that doesn’t even count IFE. Lay Flat … hands down …. I can always download entertainment…. Plus, what lay flat seat does not come with video entertainment. No contest lay flat seats. Like Bob said I’ll have movies to pass the time. get a life!- FULL FLAT! Definitely GoGo which I need to get work done. A good seat would be nice, but the lack of productivity vs comfort isn’t a reason for me. With how over connected we are these days, some quality rest while being unplugged is a no brainer! Lay-flat, no question. For me sleep is more important than staying connected, but then my business doesn’t require constant contact. @Bob – I always love your input here on the blog 😉 both you the real Bob and the “other Bob” who always seems to turn up! Full flat- then rest up and do work when you land in the lounge/ hotel/ office. Uninterrupted sleep is worth all the money of a paid ticket! I’m willing to bet most of the ones who own their own business want the Internet. I own my own business…give me Internet. Depends on the length of the trip. If it’s short, and I want to work, I prefer internet. Over 8 hours,when I want to sleep or even listen to an audiobook, I’ll take flat seats. For me inflight wifi has NO value! I do not NEED to be connected inflight and I have lots of TV shows and Movies on both my iPad and my phone.